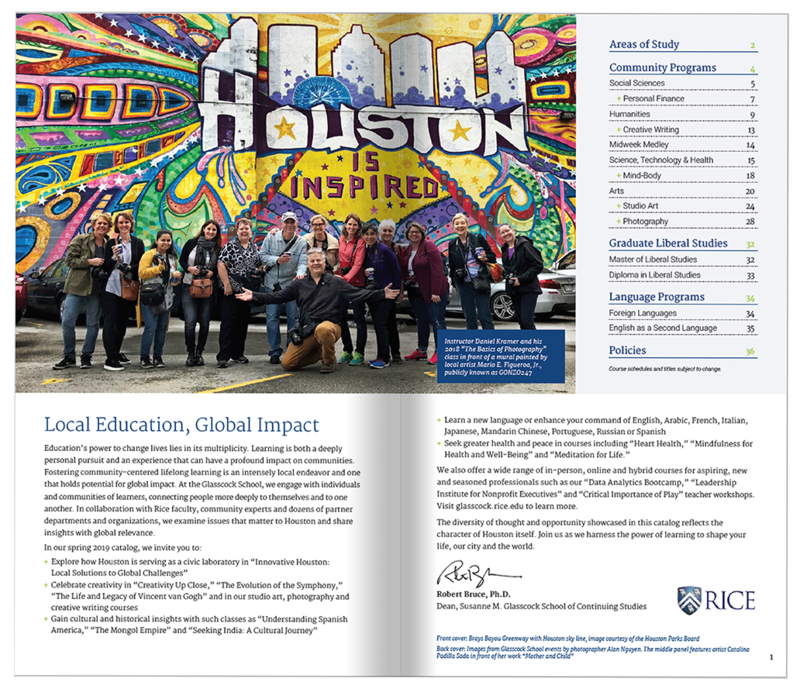 Download our spring 2019 catalog! Rice has a class for everyone. Experience lifelong learning fueled by your interests. Explore the arts, humanities, sciences, social sciences, creative writing, photography, studio art, mind-body practices and many other subjects in our short, non-credit courses open to the public.